The Teixeira Tech Stock Replacement Upper A-arm Kit has been engineered to allow camber and castor adjustments while still retaining the stock lower a-arms. 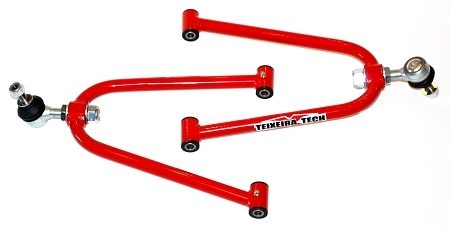 Teixeira Tech A-arms are constructed with quality TIG welded Chromoly in a precision built jig and topped off with a powedercoat finish for the upmost in fitment and durability. 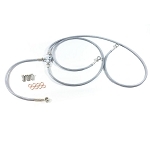 Kit includes: Upper A-arms, upper ball joints, pivot pins with seals & bushings.